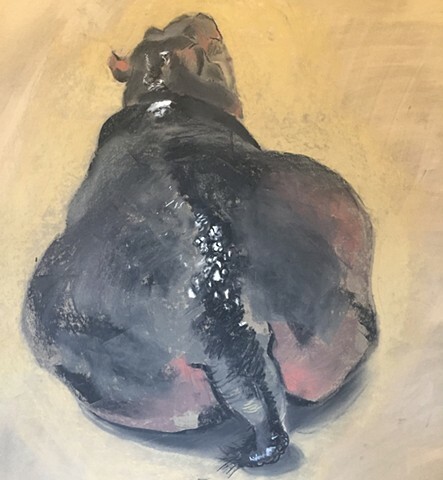 This gorgeous hippo resting after a swim was created with colored charcoal on Stonehenge paper. Framed magnificently mounted on black! Price includes Frame. Shipping not included in price.